The Royal Botanic Gardens, Kew is delighted to announce that special guest, Alison Moyet, will be joining much-loved Jools Holland and his Rhythm & Blues Orchestra on 11 July. The full line up of artists of this incredible summer series for Kew the Music 2019 includes: soul-queen Beverley Knight & pop-superstar Billy Ocean, 9 July; spellbinding Jess Glynne, 10 July; R&B legend Craig David, 12 July; punk sensation Garbage, 13 July and 80’s icon Rick Astley on 14 July. Tickets are now on sale and music-lovers can book ahead for the unmissable evenings at the iconic, atmospheric venue which returns from 9-14 July 2019. Jools Holland returns this year with yet another crowd-pleasing show. Jools has been touring with his veritable musical army, the Rhythm & Blues Orchestra, for more than 25 years. He will be joined by special guests Pauline Black & Arthur “Gaps” Hendrickson from The Selecter and featuring Gilson Lavis alongside regular guest vocalists, Ruby Turner and Louise Marshall. With a career spanning over thirty years, Alison Moyet is irrepressible and enduring. She began as one half of Yazoo, reinvented British dance music, merging cool synthesized soundscapes with soul. 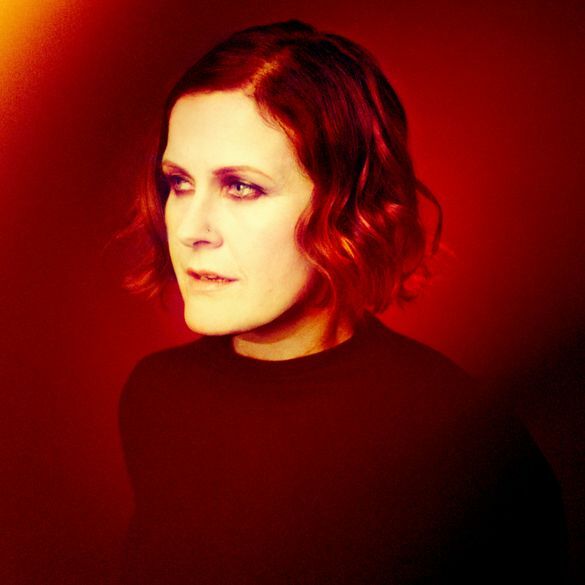 Critical acclaim, sold out tours, multiple top ten hits, a Grammy nomination and three BRIT awards later, Alison Moyet has clearly demonstrated why she is one of Britain’s finest recording artists. All nine of her studio albums, and three compilation albums, have charted in the Top 30 UK Album Charts. Multi-talented, multi-faceted and adventurous – her instantly recognizable vocals have been, and continue to be, woven into the fabric of British musical experience. Both playing full headline sets, these two iconic artists make their Kew the Music debut. Queen of British soul Beverley Knight has impeccable credentials. With powerhouse vocals tinged with a raw honesty, she has sold over a million albums. She has won three MOBO Awards, nominated multiple times for Best Female at the Brits and also received a prestigious Mercury Music Prize nomination. Billy Ocean is the biggest black recording star Britain has ever produced, selling over 30 million records to date. He reached Gold and Platinum status worldwide with hit after hit after hit – from killer ballads like Suddenly to pop classics Love Really Hurts Without Youand When The Going gets Tough. His latest album Here You Are featuring handpicked and reworked tracks entered the charts at his highest position since 1988. With 15 Million albums sold worldwide and multi Grammy nominations as well as a top 10 billboard hit 7 Days, plus 4.5 million single sales and 290 million single streams in the last year alone – Craig David is the most talked about return to music in decades! A contemporary R&B singer, songwriter and rapper, Craig David’s debut studio album, Born to Do It, was released in 2000, after which he has released a further five studio albums earning himself 20 UK Top 40 singles, and seven UK Top 40 albums, David’s latest album The Time is Now is an exciting stylistic mix of tropical house and R&B. If you think you know Rick Astley, think again. The much-loved multi-million selling 80s icon returned to capture the heart of a nation with his #1 platinum selling album “50” in 2016 and this year returned with his stellar album “Beautiful Life” in the top10. Back in 1987 his solo debut Never Gonna Give You Up was a global smash, number 1 in 25 countries. Over the next 5 years Rick had 13 international hit singles. He became a viral sensation in the noughties and most recently he has been back in the studio creating new, touchingly intimate ballads, upbeat dance beats, hook-laden pop songs and soul stormers – packing in the cheeky lyrical references and the signature sing-along style that are instantly recognisable. Kew the Music has recently won the prestigious “Tony Kane Cultural Experience of the Year” at the Time & Leisure Food & Culture 2018 Awards, cementing the glorious week-long summer picnic concerts as a highlight in the cultural calendar. Kew the Music a greener festival. Tickets from £45.00. Booking fees apply. The Royal Botanic Gardens, Kew is a world famous scientific organisation, internationally respected for its outstanding collections as well as its scientific expertise in plant diversity, conservation and sustainable development in the UK and around the world. Kew Gardens is a major international and a top London visitor attraction. Kew’s 132 hectares of landscaped gardens, and Wakehurst, Kew’s Wild Botanic Garden, attract over 2.1 million visits every year. Kew was made a UNESCO World Heritage Site in July 2003 and celebrates its 260th anniversary in 2019. Wakehurst is home to Kew’s Millennium Seed Bank, the largest wild plant seed bank in the world. Kew receives approximately one third of its funding from Government through the Department for the Environment, Food and Rural Affairs (Defra) and research councils. Further funding needed to support Kew’s vital work comes from donors, membership and commercial activity including ticket sales.